Meet Amy Beth! She is the brains and hands behind by Wicked Red, maker of gorgeous jewelry using vintage beads and her own line of hand-rolled paper beads. Born and raised here in Kansas City, Amy Beth is a self-taught jewelry designer who started making stretch string necklaces and bracelets for friends and family ten years ago. After working a day job for 21 years, the company was sold. Her husband – who she describes as her biggest fan and supporter - knew she was creative, talented and hard-working, so he encouraged her to take the opportunity to make jewelry design a career. She already had the perfect name, having used Wicked Red as a nickname derived from her hair color and the video game Evil Dead….a friend had suggested Evil Red but she thought Wicked seemed a little less scary! After adding a little “by” in front to distinguish the jewelry designer from a lingerie store of the same name and buying some beads, the business was born. 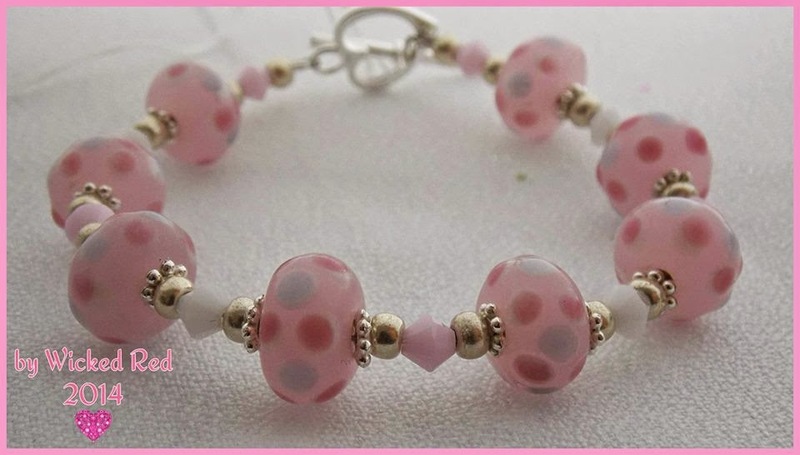 Looking at the by Wicked Red product lines, you will see a lot of unique and beautiful vintage beads. 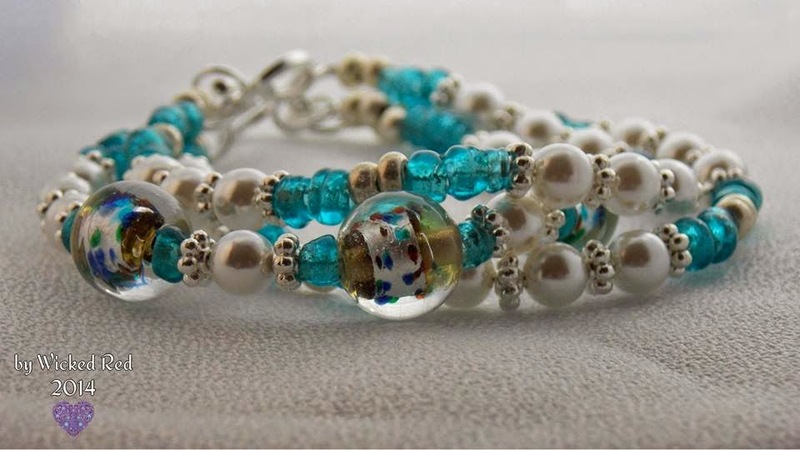 Amy Beth has a little obsession with finding high quality glass beads…scouring eBay and other markets and discovering amazing beads, some uncirculated, others antique. 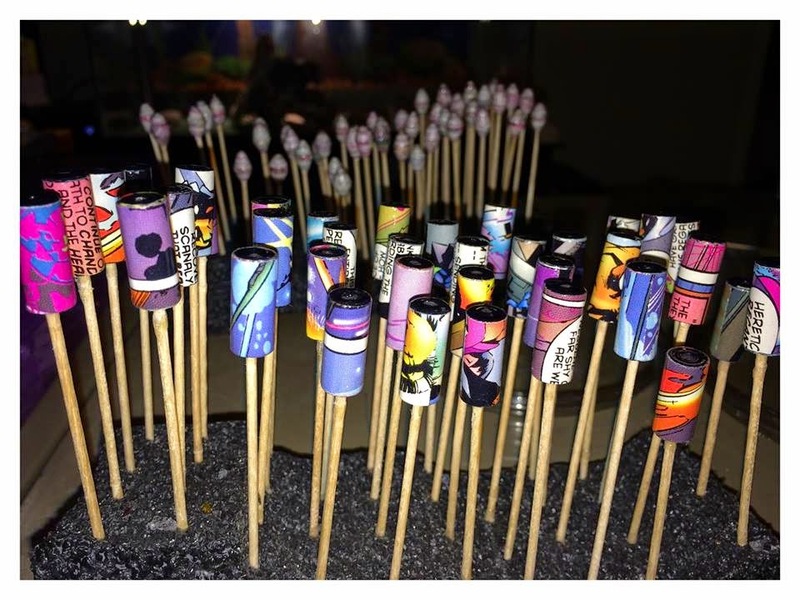 As any good business owner would, Amy Beth was looking for ways to expand her product line and began to make hand-rolled paper beads. She researched thoroughly to find the best methods and gave it a whirl. After the first batch made with a toothpick, she made a wise $5 investment in a paper quiller. 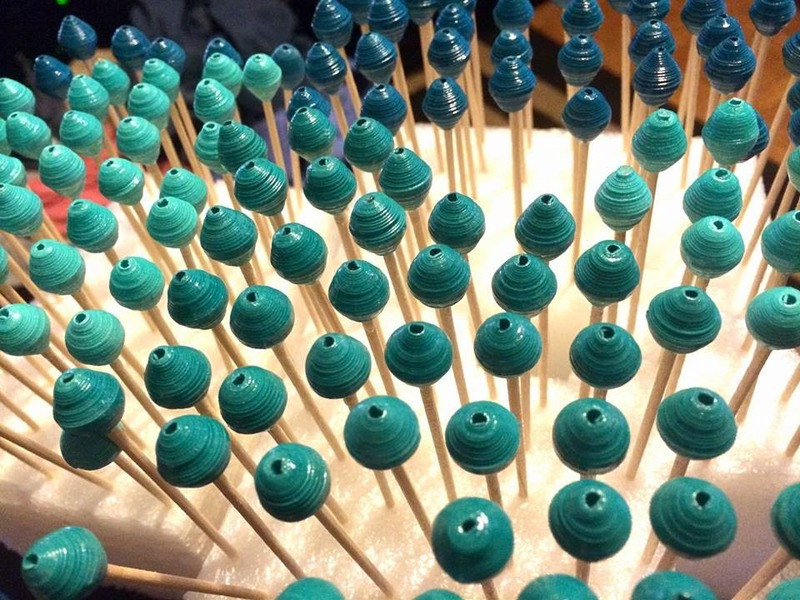 She has now made over 2000 beads in just a few months. Not only are they unbelievably beautiful, but all are totally unique. She meticulously cuts the paper before rolling them into shape, then glazing them for protection. 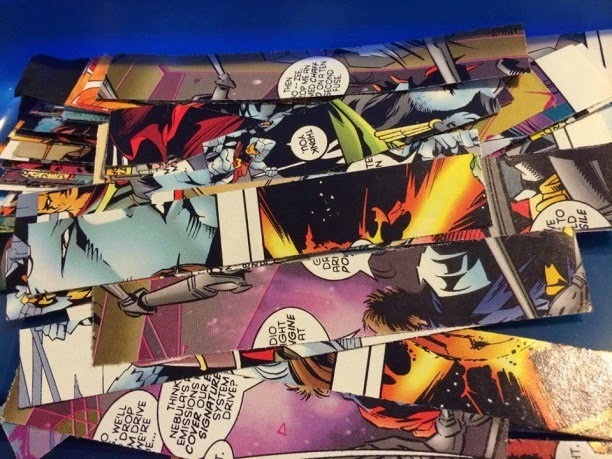 There are beads made from sheet music, comic book paper, scrapbook paper, magazines and even some from fabric! 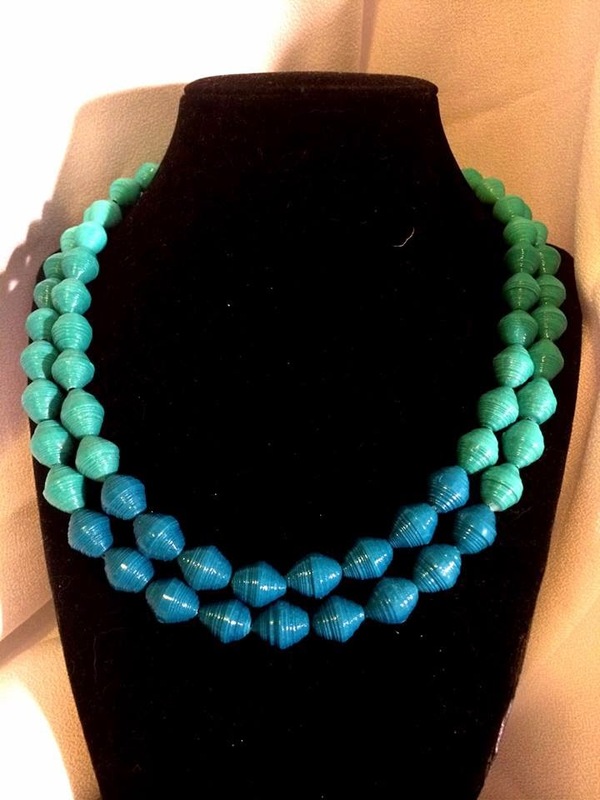 Although Amy Beth does still design jewelry, she is spending more time creating the beads and selling them to other jewelry makers and shipping them all over the world. Amy Beth says she hopes her business will be forever evolving as she continues to try new methods and materials. A learner at heart, she always wants to try something new and different. Owning her own business has been a great learning experience, through the highs and lows of sales and getting to know other makers through groups, like Handmade by Kansas City. She recognizes the importance of having a support system and loves how we are all learning from each other. 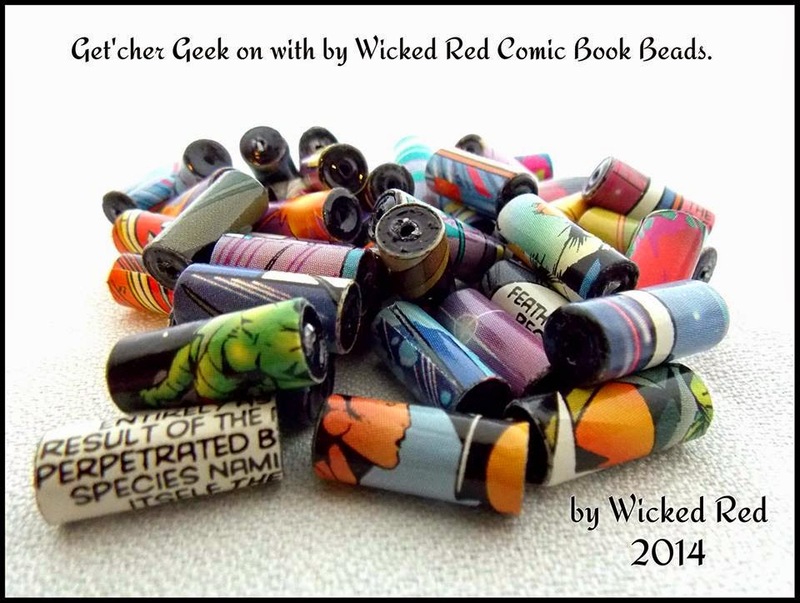 With the success of by Wicked Red’s handmade jewelry and the new line of hand-rolled paper beads, Amy Beth is excited for the future and whatever it brings.